Simone Amaduzzi is an internationally recognized award-winning photographer currently based out of Orlando, FL where he owns a photo studio & gallery. He has been published by multiple nature and wildlife magazines and websites, including the most popular nationally (and geographically) recognized magazine. He has organized photography workshops since 2012 in places such as the American West, Pacific Northwest, Northeast, Italy, and Africa. Simone’s workshops cover every aspect of the designated location. 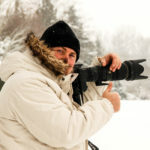 He aims to provide the best service to workshop adventurers, making sure they get the best shots for their trip.